Planning a wedding is no walk in a park, as much as it might seem like it when everything is in place. There’s so much to do, such as planning the food, finding the location, and choosing the clothing, that the last thing you want to think about is the music. Despite this, finding the right entertainment can make or break the experience you and your guests have. That’s why you need to locate a quality wedding DJ hire in Newcastle who not only loves what they do but has been in the business of entertaining wedding parties for decades. That’s why you need EAO Entertainment. 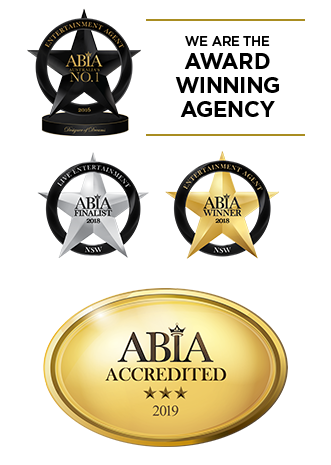 We’re an ABIA award winning agency and have been in business since 1988, so we know how to throw a memorable wedding party. When it comes to choosing a wedding DJ hire in Newcastle, we’re first on everyone’s list. You want a DJ who loves parties, someone who enjoys celebrations and can have fun, creating a great night for your guests. With our artists, you’ll see that right away, from their personality to their performance. They know how to get the party started and keep it moving. Also, you want a DJ who cares about results, someone who strives for perfection and finds pride in a job well done. Performing is in our artists’ hearts and they’re living the dream, turning their passion into a career and they will help make your party a dream come true as well. Contact us today to book a consultation and get the finest wedding DJ hire in Newcastle.